Transport license of European Union is special document, issued by public authorities and entitles the company to carry cargo across the countries of EU. It’s not a secret that cargo transportation has a huge amount of special features, obstacles and difficulties. The main goal of each transport company is to have access to wide market of free movement of goods and services: in this case we are talking primarily about licenses and permits. 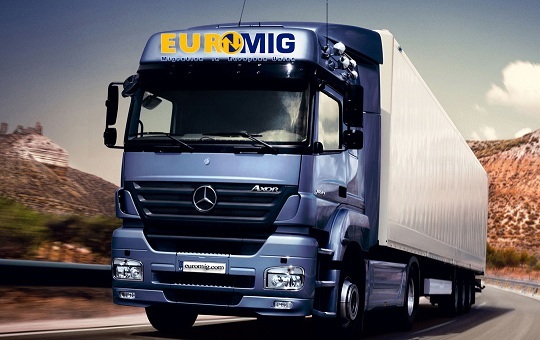 Therefore, the European license allows caring out trucking freely across the European Union. The main feature of the European Transport license is the opportunities for its owner as a result of free access to the European market without necessity to get additional permits and licenses. This license is issued by the State Road Transport Inspectorate within 30 days after the filling of the application. It is issued for the period of 10 years and allows its owner to carry out transportation of goods by vehicles with a permissible mass exceeding 3,5 tons (including trailer or semi-trailer) . Depending on the number of vehicles in the transport company, the owner should get the same number of copies of transport license: one copy to each vehicle. A copy should always be stored in a vehicle, as freight without this document is strictly prohibited. Registered office of the transport company must meet the following requirements: it must be a transportation management center with special equipment for customer service and administration, document storage. Unfortunately, there are a lot of cases when transport license in European Union is refused, in most cases it is connected with hiding of important information or due to failure to implement activities effectively: non-compliance of the legislation provisions, rules and requirements of the European Union, which are significantly different from those that exist in other countries outside of EU. Therefore we recommend to apply to professional support of companies, which have long experience in issues of transport licences and other permits. Such professional support will help you to save money and time and to avoid any kind of problems, including penalties. Our specialist will provide complex legal and accounting support and will help to get EU transport license.